Designed to accommodate most 26 47 TVs up to 66lbs, this flat panel wall mount elevates your screen to the optimal viewing angle. The one inch gap the F-101-MTM leaves lets your TV hug the wall, blending discretely into any dicor. The universal design of this mount covers most VESA mounting patterns up to 400x400. The open frame design avoids having to work around a wall plate during mounting process. For a polished look pair this wall mount with your favourite CorLiving TV or component stand. This CorLiving Fixed-Motion Tilt and Swivel Wall Mount is ideal for most flat TVs 23"- 55" weighing up to 30kg/66lbs. Two direction tilt ensures optimum viewing angles. VESA compliant adjustable design extends 91mm from the wall, swivels 15: left and right and tilts up and down +20:~-20:. Built with a solid powder-coated steel frame, this TV mount is built to suit any occasion or entertainment room set up. This CorLiving Full-Motion Tilt and Swivel Wall Mount is ideal for most flat and curved TVs 23"- 55" weighing up to 35kg/77lbs. Five direction tilt ensures optimum viewing angles. VESA compliant adjustable design extends from 58mm on the wall up to 614mm, has intricate horizontal TV level +5:~-5:, swivels 90: left and right and tilts up and down +5:~-8:. Built with a solid powder-coated steel frame, this TV mount is built to suit any occasion or entertainment room set up. Enjoy your TV from every angle with this Full motion flat panel wall mount by Sonax. Customize your TV to the perfect viewing position with the adjustable distance settings of 12.5 cm 51.5 cm from the wall. Designed to accommodate most 37-70 TVs up to 110lbs, this Full motion mount provides a +45 swivel and tilt options of -7/+15 up and down. Complete with a built in levelling system to expedite DIY installation and VESA mounting patterns up to 800x400 for big screen TVs. For a polished look pair this wall mount with your favourite Sonax TV or component stand. TygerClaw LCD1006BLK give your TV the perfect spot in the wall with this Fixed Wall Mount. This mount is constructed with cold steel material to maximize the durability and support. This mount was built to give options for TV from 23 in. to 37 in. with weighing up to 99 lb. and also an innovative locking mechanism gives quick and easy installation. This mount is the best solution for mounting TV on the wall without any hesitation. 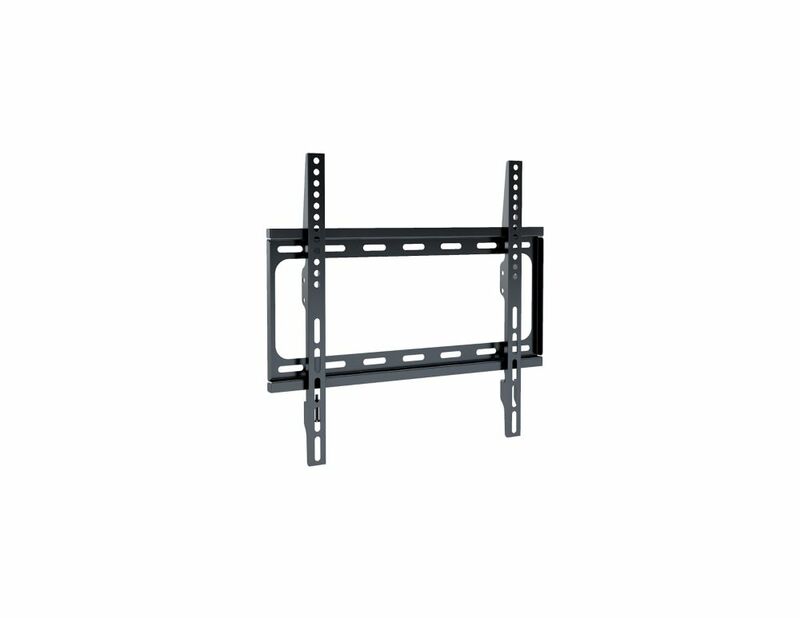 F-101-MTM Fixed Flat Panel Wall Mount for 26" - 47" TVs Designed to accommodate most 26 47 TVs up to 66lbs, this flat panel wall mount elevates your screen to the optimal viewing angle. The one inch gap the F-101-MTM leaves lets your TV hug the wall, blending discretely into any dicor. The universal design of this mount covers most VESA mounting patterns up to 400x400. The open frame design avoids having to work around a wall plate during mounting process. For a polished look pair this wall mount with your favourite CorLiving TV or component stand. F-101-MTM Fixed Flat Panel Wall Mount for 26" - 47" TVs is rated 5.0 out of 5 by 1. Rated 5 out of 5 by Ned1973 from Straightforward and affordable! This was easy for my wife and me to install. You do have to bolt it into the studs and not just drywall - especially if your TV is a bit heavy. Nonetheless, this installed easily on our bedroom wall and on the TV. The included level is handy too. Great buy for the money.